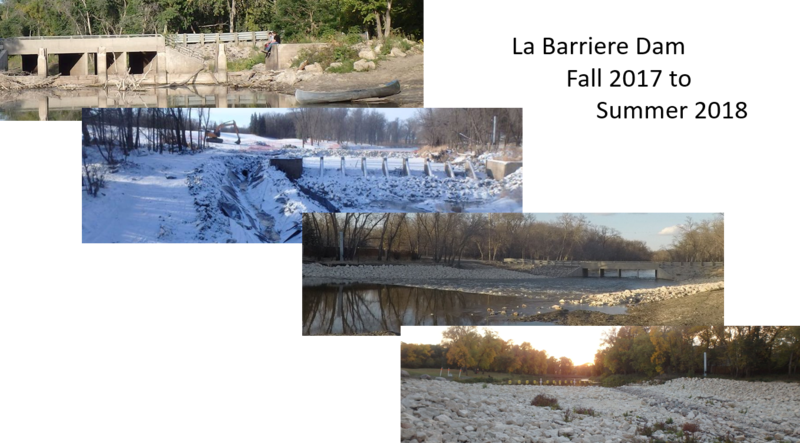 In 1941 a dam was built on the La Salle river some distance upstream of St. Norbert. The reason for the dam was to provide a water reservoir for irrigation further upstream - avoiding the drought-related problems of the prior decade. In 1969 the City of Winnipeg bought 136 hectares of fields and natural forest along the river, calling the area La Barriere Park. Along with irrigation, the dam provided many recreational opportunities. Over the years, due to floods and lack of maintenance, the once stable dam suffered from progressive decay, finally becoming a hazard. During the winter of 2017/18, the dam was retired and a large riffle structure was built in its place (Ripple 2017 - some background). The Riffle will provide better riparian habitat and water control than the old dam while maintaining the reservoir and recreational opportunities. Every Wednesday evening Paddle Manitoba takes advantage of the river access for paddling throughout the spring, summer, and fall. Early in the year, it is possible to paddle downstream, as far as the old The Trappist Monastery in St. Norbert, but as the water drops in the Red River, the section below the dam becomes impassible. The trip from the dam to Brady Rd (just upstream of River Oaks golf course) is a very pleasant 4.5km paddle. Over the summer you can see may birds (herons, owls, geese, Wood Ducks, Mallards, King Fishers, wrens, eagles, and finches), beavers, muskrats, and deer. There are a wide variety of fish, painted and snapping turtles, and other aquatic wildlife. The occasional fox has been spotted along with river otters. 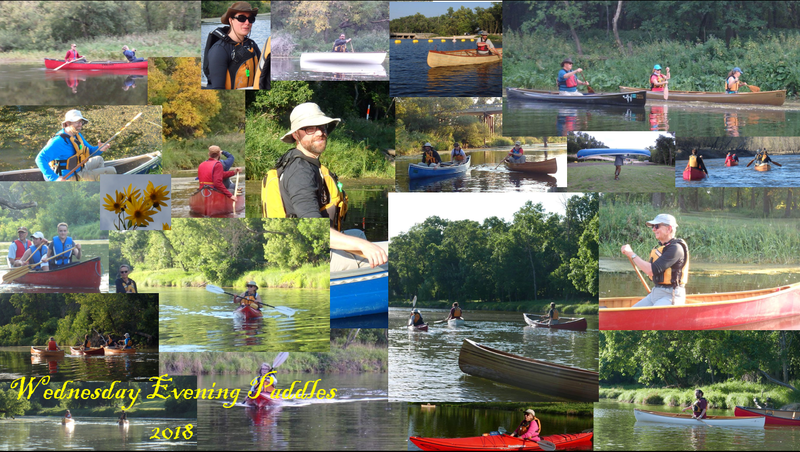 During 2018 Paddle Manitoba hosted twenty-two evening paddles, with an average of five participants each week. Primarily canoes but the occasional kayak and paddle board would also join an evening of discussion and enjoyment.